Living in the Hunter’s Creek area near Orlando can feel like a dream come true. But once the heat and humidity of summer are soaring to record levels and your air conditioning system is malfunctioning, you’ll want the fastest relief you can get. This is when it’s good to have a phone number handy for an expert Hunter’s Creek air conditioning repair service like DC / AC Air Conditioning and Heating. 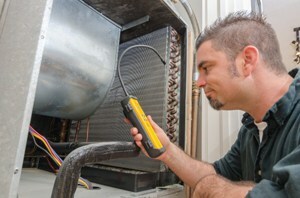 With over 25 years’ experience in providing high quality repairs on all makes and models of air conditioning systems in the central Florida area, along with offering the most affordable AC repair Hunter’s Creek residents and businesses depend on, DC / AC Air and Heat has achieved an A+ reputation with the Better Business Bureau. And the accolades don’t stop there. DC / AC Air and Heat was also named an Orlando Sentinel Best Bet in 2017 for Best AC Company. Just a few clicks or a simple phone call brings the expert AC service Hunter’s Creek depends on straight to the door of your home or business. Our bonded, insured and licensed technicians will be on their way to deliver exceptional Hunter’s Creek AC repair promptly, efficiently and expertly. We guarantee that we’ll troubleshoot your system, thoroughly diagnose any current or potential issues, and come up with a comprehensive outline of recommended services to get your system running in top-notch condition once again. We choose only the best technicians from a stellar pool of talent so you’re assured of reliable and premium AC repair in Hunter’s Creek Florida. Our technicians are constantly kept current on all the latest advances in HVAC service and repair so you get the best quality service. We show up when we say we will in a well-stocked vehicle, ready to get to work on your Hunter’s Creek AC repair and service. No time is wasted as your system is analyzed and checked and you’re fully informed of all of your options. If your professional technician advises you that it’s time to invest in one of today’s new AC systems, we know you’ll be impressed with our expert knowledge of all the newest systems, and with the systems themselves. 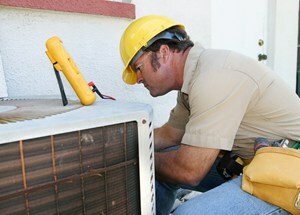 Today’s AC systems are more cost-efficient, energy-efficient and eco-friendly than ever before. We know that you, like many people, are probably concerned about keeping the environment cleaner for future generations. We share this passion. You’ll be informed about important things like energy efficiency ratings so you can make the best decision for your needs. When you call for the residential AC repair Hunter’s Creek FL needs or for repairs on your commercial AC system, we think you’ll be impressed with the vast knowledge and skill of our ace technicians. We also believe you’ll appreciate our straightforward pricing and the accurate free AC repair estimate Hunter’s Creek residents and businesses have trusted for over 25 years. Our technicians take pride in company core beliefs like integrity, honesty and exceptional service delivered in a no-nonsense way. The expert AC repair Hunter’s Creek searches for is close at hand and delivered to help save you money and to keep everyone in your home or business cool and comfortable. Our technicians show up to your doorstep ready to work with the tools, supplies and knowledge they’ll need to do the job right. You’ll appreciate qualities like neatness in our appearance and our dedication to providing excellent service when you call for the AC repair Hunter’s Creek residents and business owners need. We believe you’ll be impressed with habits like keeping all work areas as neat as possible and treating your home or business with the utmost respect. 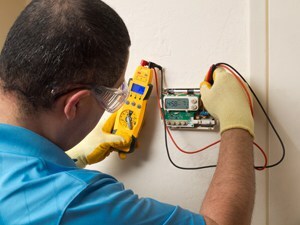 Our licensed, insured and bonded technicians are there for you to answer any questions, to explain a new system to you if you’re having one installed and to thoroughly go over all repair work that is scheduled to be done to your existing system. We’ll leave you with feelings of confidence in all of our services, which are done in the most concise and thorough way. We believe that when you’re fully and thoroughly informed of your options, you’ll see that the AC repair costs Hunter’s Creek home and business owners experience are fair and reasonable for services rendered. Our goal is 100 percent customer satisfaction every time. We receive our biggest reward through your happiness with our services and when you recommend us to your friends, neighbors and co-workers.